There are many reasons for decreased urine output (oliguria), from drinking less fluid to more serious causes like a heart complication or urinary obstruction. Generally, though, the more you drink the more urine you will release, but if urine output has significantly decreased or doesn’t occur at all, this is indicative of a more serious condition. Urination is important for proper functioning of the body, because it helps release toxins and waste that could lead to health complications if left in the body. Oliguria is a condition in which the body releases less than 400 ml of urine a day. 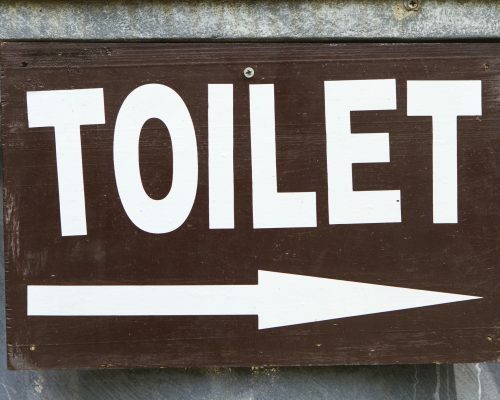 There is another severe condition known as anuria where a person produces less than 50 ml of urine a day, so it’s important not to confuse the two. It is estimated that the frequency of oliguria in adults is about one percent at admission, two to five percent during hospitalization, and four to 15 percent after cardiopulmonary bypass. Acute kidney injury leading to oliguria occurs in approximately 10 percent of newborns in the intensive care unit (ICU). Children undergoing cardiac surgery suffering from oliguria symptoms are as high as 10 to 30 percent. Acute kidney injury is defined by the doubling of serum creatinine. The largest study reported to date—analyzing data from over 3,000 admissions to a single pediatric intensive care unit in the United States—shows that six percent of children had acute kidney injury on admission and 10 percent developed acute kidney injury during their stay. Prerenal causes: This occurs when the kidneys are functionating normally, but are not being supplied with enough blood. This accounts for approximately 70 percent of community-acquired cases of acute renal failure and as many as 60 percent of hospital-acquired cases. Postrenal failure: This is a consequence of mechanical or functional obstruction of urine flow. This cause of decreased urine output will usually resolve once the obstruct has been released. Dehydration due to vomiting, diarrhea, or fever, and a simultaneous lack of adequate fluid intake. Total urinary tract obstruction, which may result from an enlarged prostate. Medications that may be harmful to the kidneys, including chemotherapy or immunosuppressant drugs and certain antibiotics. Contracting infections is a common complication in 30 to 70 percent of patients and generally affects the respiratory system, urinary tract, and indwelling catheters. Uremic states and the inappropriate use of broad-spectrum antibiotics may be contributing factors to this increased risk. Also, due to fluid and sodium retention, cardiovascular complication may result. If your oliguria isn’t caused by a serious medical condition, then the easiest way to increase urine output is by consuming more water. Other home remedies which can improve urine output include reducing your salt intake as salt retains water, lowering your potassium intake, and eating smaller portions of protein as large amounts of protein can lead to kidney damage. If your oliguria is caused by a more serious condition, you need to see your doctor for an appropriate treatment plan. If you’ve increased your water intake and still don’t see a change in your urine output, you should see your doctor as your oliguria then is a symptom for another underlying condition. You should also see a doctor if you experience diarrhea, vomiting, fever, lightheadedness, dizziness, or a fast pulse.